On Wednesday, I went to two fun events with Hope and Alex. 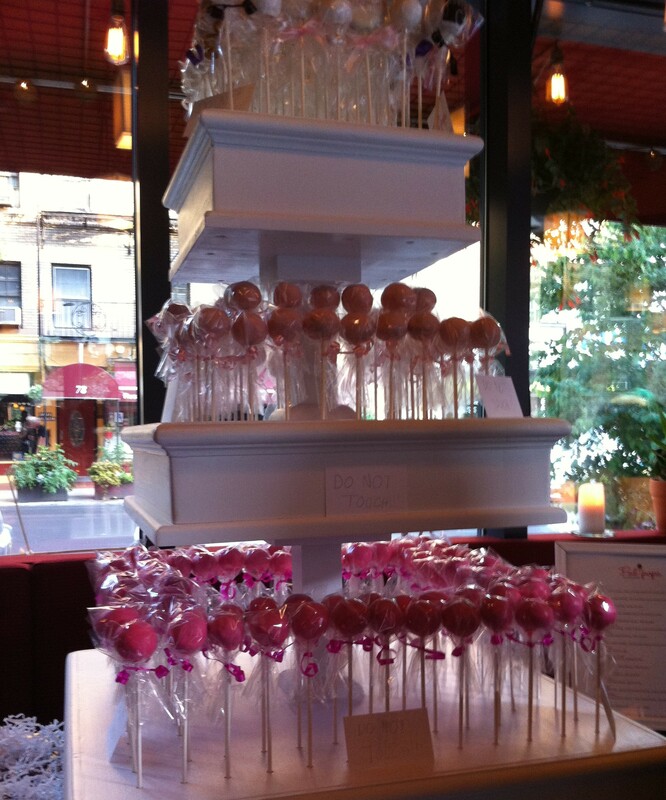 The first was a cake pops and wine party at Ayza Wine & Chocolate Bar in the West Village. There were lots of yummy little foods to nibble on, like mini pizza slices and mini egg rolls, and of course there were Fabipops. 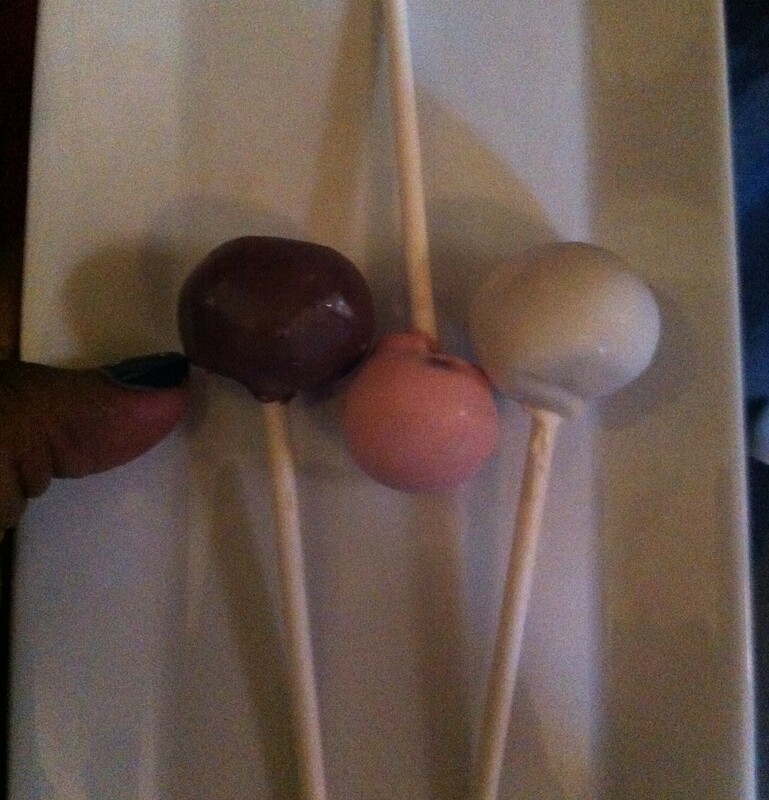 The cake pops were definitely delish and I devoured all three of the ones above in about one minute. After that, I decided I needed to slow down my pace, so Hope, Alex, and I sipped on our drinks and chatted. They also had a mini raffle to give away items from some of the sponsors of the event. Hope was only two numbers off from winning the first prize! From there, we popped on over to Flying A in Soho where Snapette was kind enough to organize an event exclusively for members of The Bloggers’ Collective. Have you heard of Snapette before? This was my first time playing around with the app and I really like the concept. Basically the idea is that you “snap” pictures of products you like while you are out shopping and upload them to Snapette. You can use this as a way to keep track of items that you may want to come back and purchase later. Another way to use the app is to search for nearby stores based on your location; this way you can see what products are near you and you can even follow a store for updates on when they receive new merchandise. The best part of the event for me was hearing directly from the co-founders about how the company began. 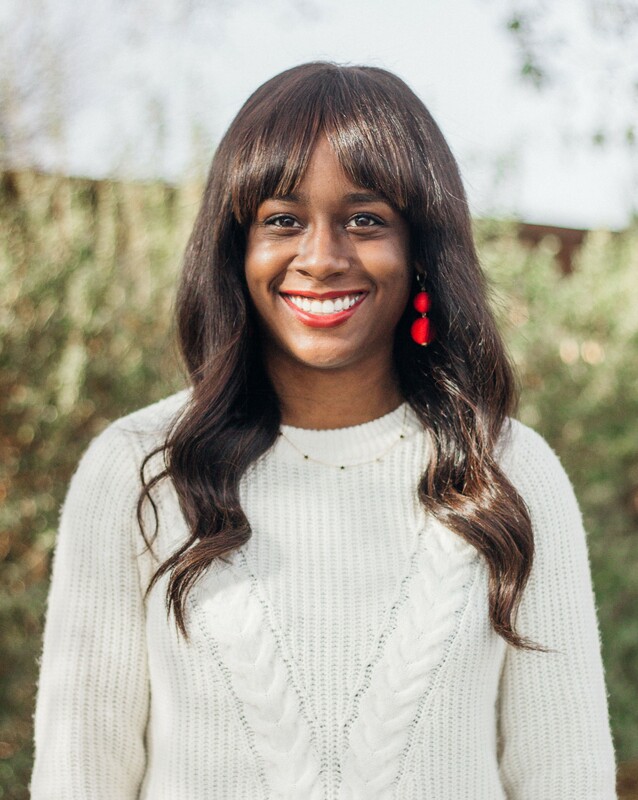 They started out with a small investment and a great idea, and now they’ve managed to raise even more funds and release a very successful app! It was really great to hear their personal story and it made me even more excited to try out the app. I also had the opportunity to chat with some people from the Snapette team and they were so friendly and welcoming. 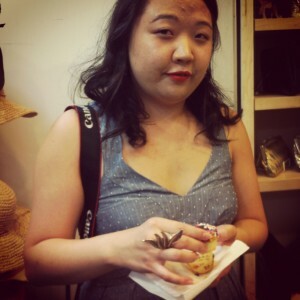 After the presentation, I browsed through Flying A (who closed the store just for our event!) and there were so many great pieces, like those black wedge boots above. Also, Alex, Hope, and I just couldn’t resist munching on more sugary treats (cupcakes from Crumbs)! Thanks to Fabipops, Ayza Wine & Chocolate Bar, Snapette, and Flying A for a really fun evening!